Today, there are more than three parking spaces for every car in the United States. No one likes searching for a space, but in many areas, there is an oversupply, wasting valuable land, damaging the environment, and deterring development. Richard W. Willson argues that the problem stems from outdated minimum parking requirements. In this practical guide, he shows practitioners how to reform parking requirements in a way that supports planning goals and creates vibrant cities. Local planners and policymakers, traffic engineers, developers, and community members are actively seeking this information as they institute principles of Smart Growth. But making effective changes requires more than relying on national averages or copying information from neighboring communities. Instead, Willson shows how professionals can confidently create requirements based on local parking data, an understanding of future trends affecting parking use, and clear policy choices. After putting parking and parking requirements in context, the book offers an accessible tool kit to get started and repair outdated requirements. It looks in depth at parking requirements for multifamily developments, including income-restricted housing, workplaces, and mixed-use, transit-oriented development. Case studies for each type of parking illustrate what works, what doesn’t, and how to overcome challenges. Willson also explores the process of codifying regulations and how to work with stakeholders to avoid political conflicts. 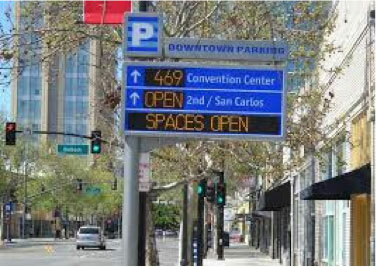 With Parking Reform Made Easy, practitioners will learn, step-by-step, how to improve requirements. The result will be higher density, healthier, more energy-efficient, and livable communities. This book will be exceptionally useful for local and regional land use and transportation planners, transportation engineers, real estate developers, citizen activists, and students of transportation planning and urban policy. "For once, an urbanistic reform with an approach that can grow organically and does not depend on people completely changing their minds!" 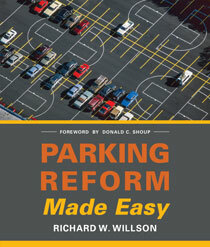 "I give kudos to Professor Willson for producing a path-breaking book that advances the prospects for better parking policy and regulation." "a very important primer for discussing and implementing parking reform"
"it is almost certainly a step forward in reforming parking regulation." "...demonstrate[s] how to use local data and an understanding of future trends to develop parking requirements that support local planning goals and are responsive to the needs of individual neighborhoods." "...he has distilled this hard-earned wisdom into a book. ... this book is a great contribution in the pragmatic tradition of planning." "This highly readable book tells us why 'smart parking' reform is needed and provides a toolkit for getting the parking equation right." "Finally, a comprehensive book has been written that not only helps you understand the purpose of parking requirements, but offers a menu of practical options for land management reform. Parking Reform Made Easy will help you rethink parking standards, eliminate the tendency to over park your community, and help you to reclaim land for economic and tax producing value. Simply put, this book will make you smarter." "Parking Reform Made Easy provides both a theoretical framework and practical methods for reforming parking requirements. By giving planners a sound basis for developing reforms, Richard Willson remedies the problem that many planners feel unqualified to challenge and change long-standing minimum parking requirements." "Parking requirements in zoning codes and subdivision regulations may seem both arcane and mundane. Donald Shoup's earlier book proved they are critically important to the quality of urban environments. Now Richard Willson has written a literate, readable, and practical sequel, showing how to transform planning for parking into an essential tool for improving cities and suburbs." Please click here to download a Powerpoint presentation by Richard Willson for the Southern California Planning Congress. For a PDF of the Powerpoint presentation, click here. Since the beginning of time, parkers have argued that they should park free. Yet the economic justifications for pricing are well documented - pricing leads to more efficient parking use and a multimodal transportation system. Many arguments against pricing don’t hold up to scrutiny. I have been chronicling them in my work with local stakeholders over three decades. This blog post summarizes the top five arguments I’ve encountered and provides responses that are useful in the heat of the battle. Response: Yes, some people love their cars, must drive and/or enjoy hunting for parking, but that’s not the point. Parking pricing seeks to change behavior at the margin, not for everyone. In other words, if your alternatives to driving are good and you drive because parking is free, pricing will induce you to consider changing modes or parking location. Seeking 85% curb parking occupancy with dynamic pricing, for example, requires that only a few people change. Response: That’s a bluff. 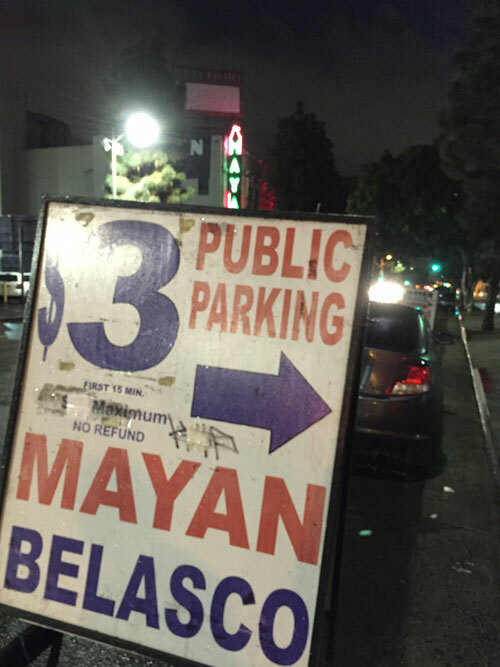 People who spend $100 on dinner say they won’t pay $3 to park. A few people may do that, but most will go to the restaurant they like. 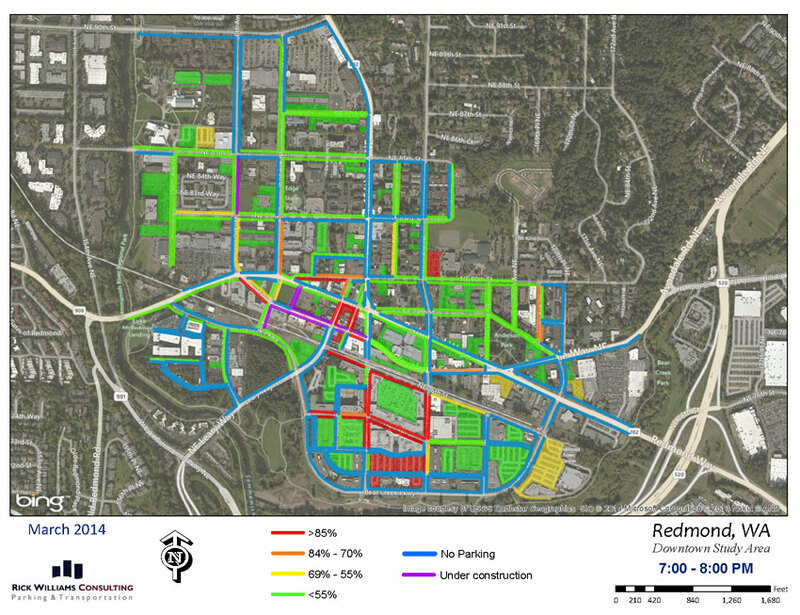 People will pay for parking to gain access to a district with competitive businesses. Instead of improving their businesses, uncompetitive districts hold on to free parking like it is a life preserver in a stormy sea, thinking it draws customers. The stakeholders screaming the loudest about parking charges probably spend the least money in the district. The past is an entitlement to the future. Response: Communities are dynamic and change over time. Change addresses important social, economic, and environmental objectives. Past parking policies didn’t recognize resource limitations, climate change, and current goals for livability and multimodal transportation. But one can’t ignore this sentiment – it is powerful – so frame and design pricing programs in a way that positions the place as a “modern” small town. The SF park dynamic pricing program shows that while prices on the prime blockfaces increased, the average price declined because prices were lower in less-used locations, so affordable parking was still available, albeit with a longer walk. Using parking revenues to improve transit and active transportation is a better path. Pricing is a money grab by local government. Response: Fair enough. Lots of cities are so motivated. The answer is to set prices to achieve target occupancies, not a revenue target, and return all or a portion of the funds for local parking, transportation and community improvement in the neighborhood being priced. Convincing a person to change her or his mind is, of course, the greatest challenge of all. It has stumped teachers, marketers, philosophers, and religious leaders through the millennia. But is it possible, and it is more likely, when you understand the core ideas in the objections and frame the issue in a way that acknowledges them. Richard W. Willson, Ph.D., FAICP, is Professor and Chair in the Department of Urban and Regional Planning at California State Polytechnic University, Pomona. He is the author of Parking Reform Made Easy and Parking Management for Smart Growth. Parking expert Richard Willson reflects on the recent news story of a D.C. church opposing the construction of a bike lane in front of the church. Religious institutions - churches, synagogues, mosques and other places of worship – are excellent prospects for shared parking. They need parking most on Saturdays or Sundays, in the morning, when there is lower overall parking occupancy. This post discusses two very different positions. The first is a progressive one that advances the church’s mission by selling off a church-owned parking lot and using shared parking resources. The second is a “protect our parking” approach common in disputes about parking, in which a church opposes bicycle lanes that would reduce on-street parking capacity. Case #1. This is a positive parking management example from California. I recently helped the Board of the Pasadena Presbyterian Church assess the prospects for selling a surface parking lot it owns to a private developer for a mixed-use development. The sale included the condition that a small number of spaces in the new development are permanently allocated to the church, but the rest of the parishioner parking would be accommodated in the on-street and off-street parking in the Playhouse District. An analysis showed that there was plenty of parking capacity within walking distance of the church. The church is currently seeking city approval for a variance from the zoning code parking requirements. This arrangement converts an inefficiently used asset, a surface parking lot, into monetary resources that the church can use to augment its operations and advance its mission. When it comes to approving shared parking, many cities are stuck in a counting game of seeking guarantees of shared parking access, requiring long-term agreements or covenants. This leads to complicated accounting that muddles property titles and makes parking owners wary of sharing. My view is that shared parking arrangements should be dynamic and changeable according to the circumstance of the entity needing the parking and the facilities providing it. Cities should rely on on-street parking prices to balance supply and demand, and to incentivize owners of off-street parking to share excess parking. Case #2. The second case, the United House of Prayer in Washington, D.C., shows that organizations often fight for the status quo. They raise the convenience of parking in front of one’s destination to the level of a human right, or in this case, a constitutionally protected right. Long story short, the attorney for the church has claimed that replacing on-street parking with a bike lane in front of the church is a government action that “substantially burdens” the free exercise of religion. The controversy is impeding the development of innovative parking management ideas. The District of Columbia is evaluating where to build a bike lane on the east side of downtown. The church’s representatives are arguing that a reduction in on-street parking brought about by the lane infringes on its “constitutionally protected rights of religious freedom and equal protection of the laws.” There is nothing in the constitution that creates a right to parking free in front of one’s desired destination. Some people may choose a church for the free parking, but that seems far from the more powerful explanation of finding a religious community that supports one’s personal growth and spirituality. 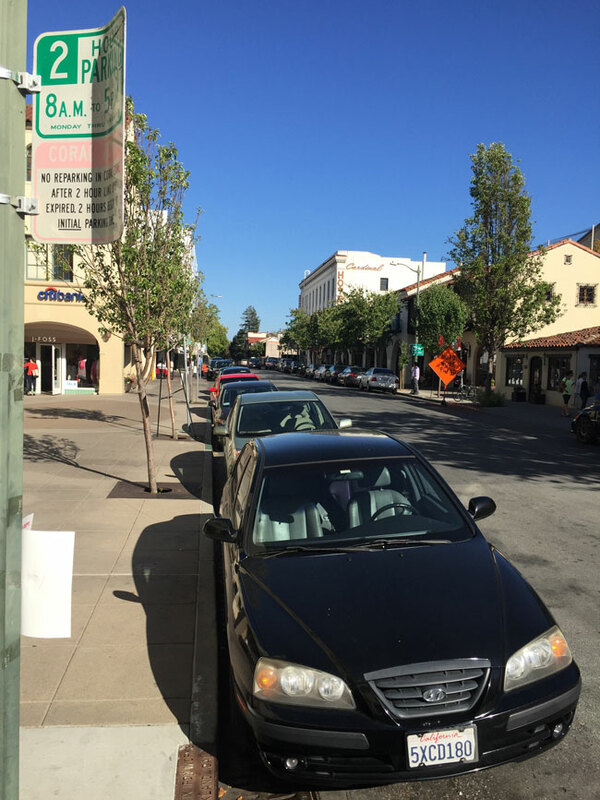 On-street parking is a public asset that should be used in the way that best serves the broader public interest. No one has a right to the on-street parking in front of a property s/he owns. But the “we own it” view is common, e.g., residential parking permit districts keep “outsiders” from parking in neighborhoods, and city governments rarely have the will to take on this notion. Acknowledging this political reality, a promising strategy is to price the use of on-street parking and return a portion of the revenues to the neighborhood for sidewalk repairs, street tree trimming, shared parking facilities, or other local priorities. That way, neighborhoods have an incentive to share their parking. No one likes change, and I understand why the United House of Prayer is concerned. But opposing a bicycle lane would hold back progress in developing a multimodal transportation system. There are a host of way to get parishioners to church, including shared parking with nearby institutional or commercial uses, remote parking with shuttle busses, church busses, valet parking, time-specific conversion of travel lanes to parking, carpooling programs, taxi programs, and so on. It takes some effort but shared parking is a better approach than blocking the bicycle lane.